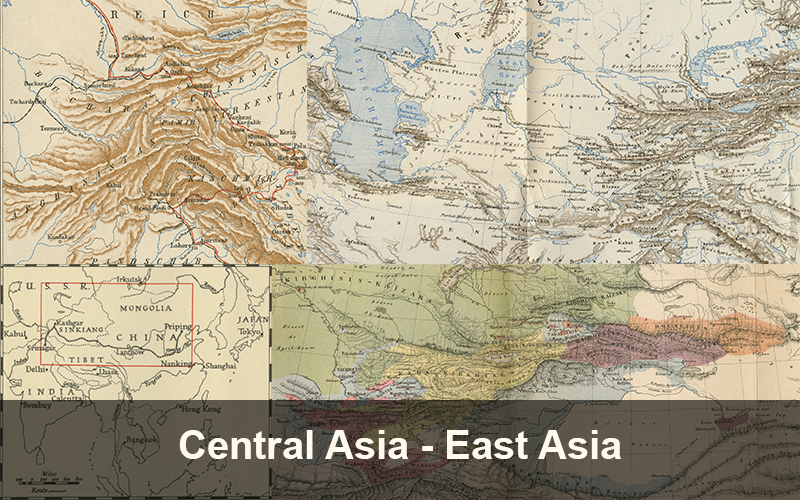 All of the maps on this site are retrieved from the Travel Literature section of the digitized Gunnar Jarring Central Eurasia Collection. Hence, each map is a complementary document to often very detailed travel accounts written during the colonial era and the cold-war era by western travelers, scientists, missionaries and consular staff. These reports together with their photographs and maps constitute an important part of a cultural heritage giving insights into the knowledge and perception of Central Asia from the point of view of British, German, Russian, French, Swedish and other narrators. 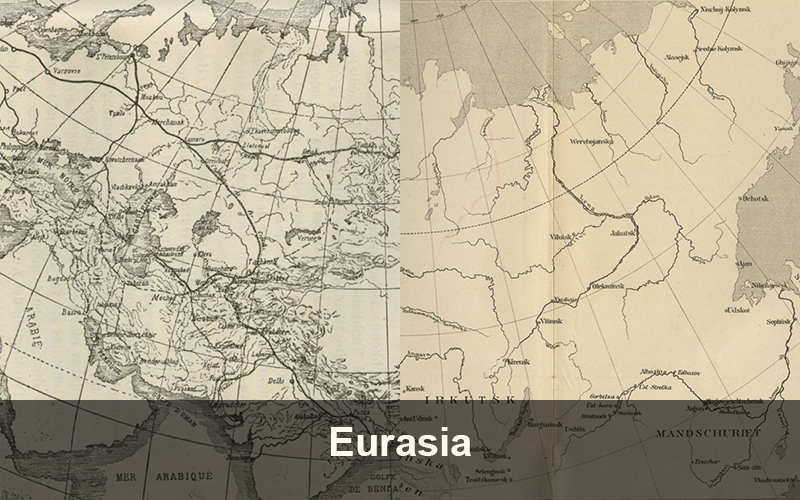 In a total of 61 maps published between the years of 1803 and 1949, more than half of them (40) originate from travel accounts written before the fall of the Russian Empire and the outbreak of WWI, while the rest are from between, during and after the world wars. 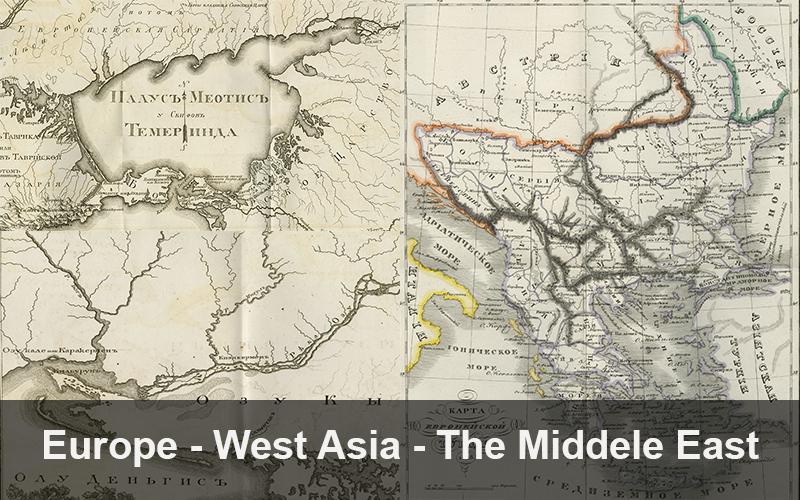 All the way from Petrograd in the northwest to Peking in the southeast, these maps cover areas from Europe and Russia, to Siberia, Mongolia, India, Central Asia and China. The great majority are maps of Chinese Turkestan (also known as Eastern Turkestan or Sinkiang), which has been under both Chinese and Muslim rule at different times during the 19th and early 20th centuries. Today this region is divided between Uzbekistan, Kyrgyzstan, and the Chinese province of Xinjiang. Most of them are rich in detail indicating the position and size of cities, towns and villages. Caravan roads, trade routes, motor routes, and railways are often marked. 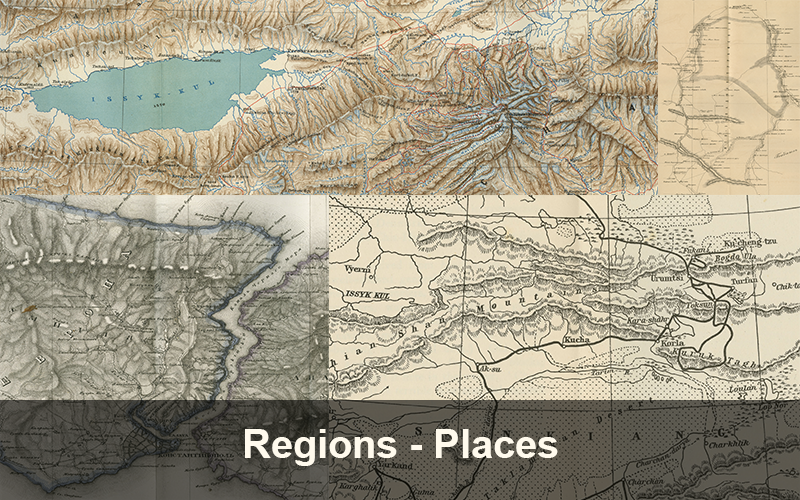 Mountains, deserts, rivers and lakes are illustrated in these pencil-sketched maps giving a visual overview of the geographic features of the depicted regions and an insight into the difficulties travelers had to overcome crossing different terrains. 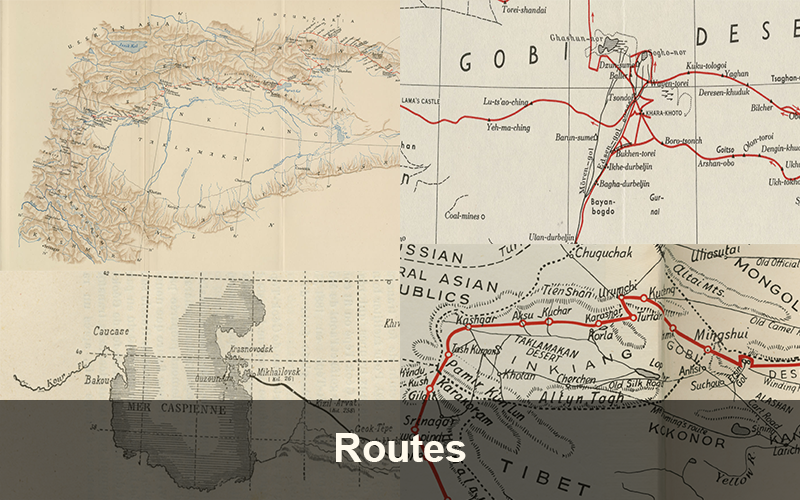 In many maps the travel routes of the authors are marked, such as that of Alexander Lehmann in 1841-1842, Sven Hedin, Nils Ambolt and Folke Bergman during scientific expeditions in 1927-1934, or Eric Teichman’s route from Peking to Delhi in 1935, as well as the route of Peter Fleming who traveled in Central Asia in 1941. The maps presented in this section have been scanned and edited for the purpose of being available for open access. Several more maps will be added in the future. The organization of maps can be seen from the menu to the right. So-called “Surveys” are maps of areas in Europe, West Asia, the Middle East, Central Asia, East Asia as well as large-scale maps showing Eurasia. Under the heading “Travel documentation” there are maps with travel routes marked on them or maps of specific regions and places in Eurasia with more details than in the survey maps. By clicking on the different subcategories in the menu to the right you will find maps organized by year of publication. By clicking on each miniature map, you will find a page with information about each map along with the map available as PDF and JPEG. This is a continuously evolving platform; if you wish to contribute with related information, please, contact the Webmaster, Azize Güneş (azizegunes@jarringcollection.se).